On the evening of 17 June 2017, 400 alumni and guests will gather in an amphitheatre in an old dry dock for the largest single alumni reunion that the University has ever held. Alumni@theDock will celebrate the achievements of our alumni and mark our year as City of Culture by showcasing the best that the city has to offer in music, live performance, craft beers, cocktails and contemporary street food. Confirmed speakers and performers include Rosie Millard (Chair of Hull 2017), Michael Wood (Town Crier), Russ Litton (author and performer), Steve Cobby (DJ and musician) and Pearl’s Cab Ride (jazz-funk fusion band). The event will also be the centrepiece of the Hull Alumni City of Culture Weekend, which will include an alumni reception and performance of Mighty Atoms at Hull Truck Theatre and a range of city and campus tours throughout the weekend. A new and exclusive online home for alumni of the University will launch in June 2017. 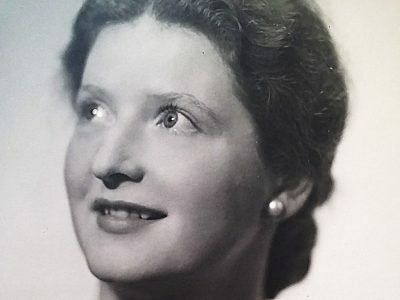 Hull Alumni Connects will allow graduates of the University to reconnect with old classmates and utilise the trusted University of Hull environment to expand their professional networks. Members will be invited to connect through Facebook or LinkedIn in order to join a flourishing network of Hull graduates and benefit from opportunities for online mentoring, chat, volunteering and access to inside connections within top companies. In addition, members will have the ability to form online groups aligned to their shared interests including, for example, their academic subject area, shared accommodation, graduating class or professional interest. The platform will also provide live access to key news stories from the University of Hull as well as a broad range of job opportunities provided by the network. 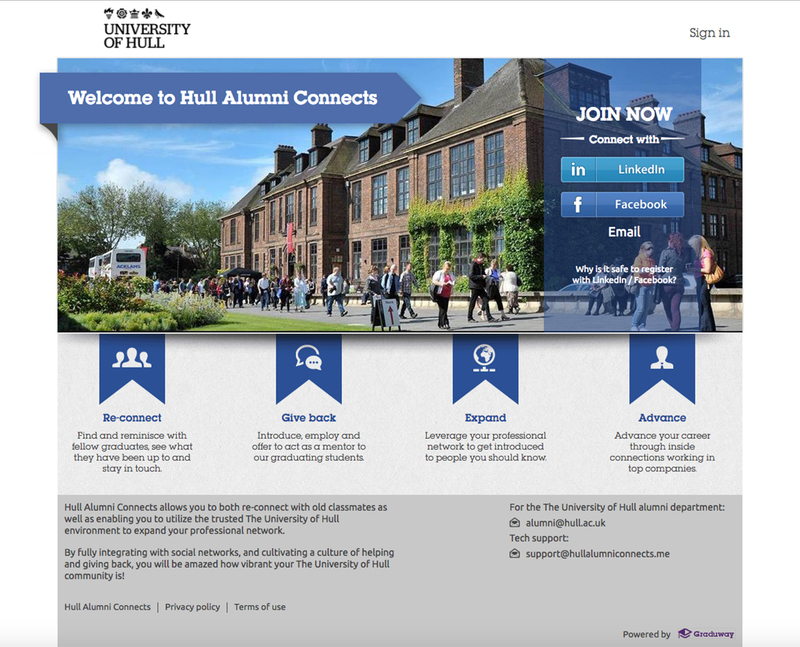 Building on a shared affinity, Hull Alumni Connects will be your one-stop shop for connecting with graduates, keeping up with developments on campus, connecting with your classmates, volunteering online and giving or receiving professional advice and support from your peers. Two of our five planned alumni professional networks have been launched and a third, the Hull Alumni Legal Professional Network, is set to launch in July. Our first professional network, the Hull Alumni Creative Industries Network, came together on 3 October, 2016 at the Groucho Club in London at a launch event hosted by Jane Bennett-Powell (London Alumni Group Leader). Speaking to a full house, Acting Vice-Chancellor Professor Glenn Burgess outlined the crucial role that the University is playing as a principal partner and key event host for 2017. Rosie Millard (Drama, 1987), Chair of Hull 2017, outlined some of the key events planned for Hull City of Culture Season One ‘Made in Hull’, setting out a clear vision and strategy for how a diverse and eclectic range of events will excite and inspire a broad range of audiences and ultimately cut across the geographical and social boundaries of the city. 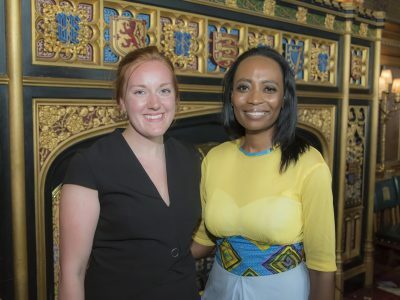 The theme was echoed by Chief Executive of the Arts Council, Darren Henley OBE (Politics, 1994), who closed the night by positively linking art and culture to education, wellbeing, soft power, a sense of place, innovation, technology and prosperity. Our second network launched at the Shard on 8 December 2016. Making the most of a prestigious 10th-floor space in the Shard gifted to us by Robert Half Associates, the event brought together many of our most senior alumni from business, finance, law and politics. Keynote speaker for the evening, Liam Donnelly (Classics, 1972) spoke on the vexed issue of ‘Why Big Systems Fail’. His broad-ranging presentation was both humorous and deadly serious, highlighting the long-term results of weak planning and convoluted ownership. Professor Kathryn Haynes, Dean of the Faculty of Business, Law and Politics, set out a coherent vision for the future of the Business School at the University of Hull. Using a new strategic alignment of Business, Law and Politics within a single faculty, Kathryn detailed how the Business School plans to reinforce its role as a leading UK business school and enhance its international reputation for research, learning and teaching. The events perfectly encapsulated our vision for future alumni networking – conceived by alumni, facilitated and provisioned by alumni and for the benefit of alumni.